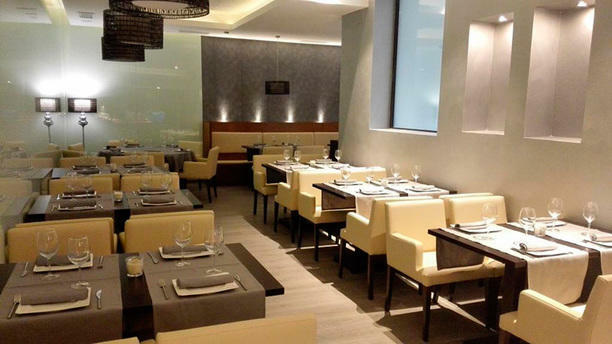 El restaurante Luxury se emplaza en el madrileño barrio de Chamberí, cerca del metro de San Bernardo. Ahí, abre sus puertas para deleitar al público de la capital española con su maestría en cocina internacional con claros rasgos asiáticos. Es un lugar donde comer resulta un vicio y en el que es fácil encontrarte a famosos. Por algo será. Su idea culinaria, que se basa en productos de máxima calidad, reúne rasgos de cocina cantonesa, japonesa y lo mejor del sushi. Disfruta de Crispy ribs, del Atún picante. Deléitate con la Lubina agridulce, el Solomillo de buey con salsa de ostras. Ponle un toque dulce con la Tarta Luxury. Sabores que podrás conjugar con champán francés, sake o cervezas japonesas. Así es el restaurante Luxury. Un lugar igual de ideal para una cena romántica en pareja como para velada de grupo. ¿Vas a dejar que te lo cuenten? Tasty japanese food and with the discount, globally awesome deal. Good variety of dishes, nicely presented and tasty. Very good value with the discount. Very good food, BUT no attention to client. We were stuck near the kitchen, where all sort of stuff was stored. The discount applied was lower than offered through the app. We had to ask to get the right discount. Did not think the food quality was all that. I do confess I compared it to great Asian food in Asia. For MAdrid standars it's a good place, but I prefer better quality. We had the Christmas menu. Everything was perfect. The food, the atmosphere and the staff. My expectations were very high after reading the reviews here and taking the decision to go there. But the whole experience didnt meet my expectations. The avocado included in nigiri was not mature enough. The salmon had not been marinated properly resulting to be totally tasteless. Food was ok for the price we paid. Original price was too high.